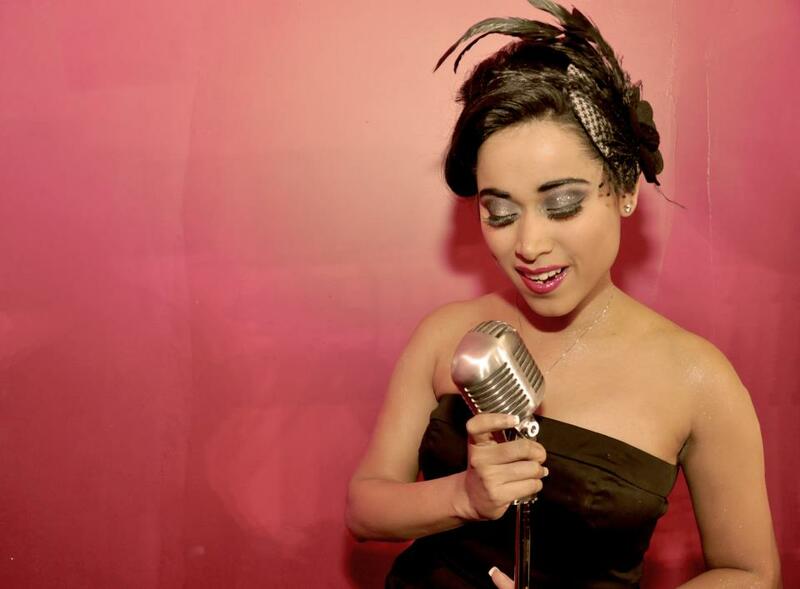 Born in Dubai, UAE and then shifting to Canada during her teens, little did Shweta Subram know that her hobby of singing would make her the most sought-after singer in the times to come. 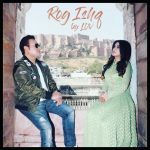 Currently based out of California, this Bollywood playback singer is highly versatile and has performed at various platforms across the globe. She has been an active singer in IIFA and has collaborated with famous music directors and singers of the industry like Salim Sulaiman, Sonu Nigam, Shaan, Atif Aslam, Alka Yagnik, and Shafqat Amanat Ali to name a few. Recently, Shweta Subram sizzled on the floor in Saudi Arabia as she got an opportunity to participate in the Bollywood music festival held from March 28th to 30th at the Al Khobar Corniche in the city of Dammam. DissDash: How was your experience going to Saudi Arabia? 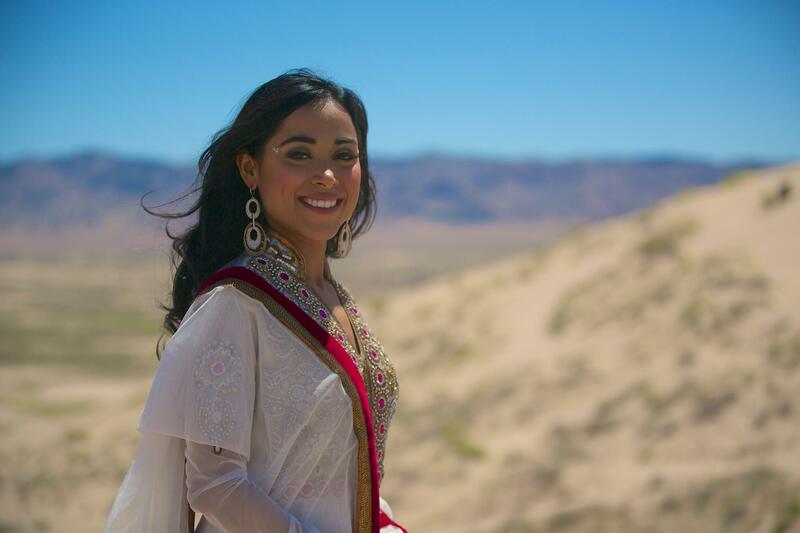 Shweta Subram: It was a fantastic experience. 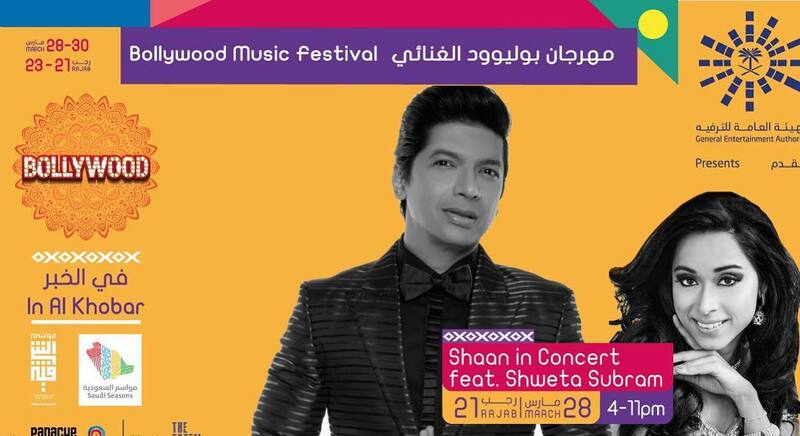 It was very overwhelming, it was nerve-wracking all kinds of feelings; you know all kinds of thoughts went into my mind but it really was a fabulous experience to be the first ever female Bollywood singer to headline in Saudi Arabia with playback singer Shaan. The experience was impeccable and I could not have asked for anything more, really! DissDash: Were you scared at first, well maybe not scared but were you like nervous, just based on the things you have heard in the news about Saudi Arabia and how strict they usually are? Subram: Of-course! It was a little nerve-wracking in the beginning. I remember getting the call from Abhishek Mathur saying that you know we’re doing this festival in Saudi Arabia when you come down and so many thoughts ran into my mind that should I take this up? Is it okay to go to Saudi Arabia and perform? And how is it that such a concert is happening in Saudi Arabia? Because you know they are really strict with women, the way they dress and in fact if I’m not mistaken only very recently did women get a green signal to drive there. Up until now that they had to be with a male partner when they went out and there were so many other rules. So for them to even tell me that there is a public outdoor concert with music blaring and to perform out there just seemed a little questionable to me in the beginning. It seemed a little surreal to get the call but from what I understood, in the past year, Saudi Arabia is changing completely. The dynamics are changing there, thanks to the crown prince the royal family, they are opening up. 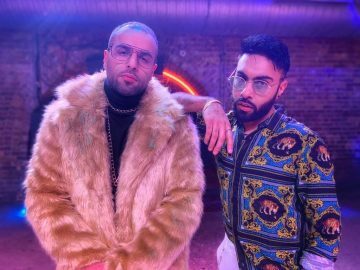 In fact, the entertainment industry there has seen Akon, Pitbull, Mariah Carey, and even had the first new years party last year where men and women came together, so it’s very refreshing to see the dynamics change there and really to be a part of a historic Bollywood music festival. I mean, this is the first and to be part of it is something that I am going to have on my portfolio and my resume and it’s really awesome. DissDash: What kind of audience attended the show? Subram: So interestingly enough there were all kinds of people. There were families with kids, there were a lot of youngsters that actually follow music. Despite living there, they are really in the know-how of everything. They know the songs they know everything that’s happening out there, thanks to social media and YouTube. So it was a wide range of audience, in fact, we were really surprised to see the numbers that showed up. There were a good 2-3 thousand people that came out for this festival and this was happening in Dammam in Saudi Arabia, which is next to Bahrain. So you know we thought like how much of an audience can Dammam really pull out? But the love for music, the craze for Bollywood really got people not just from Dammam but even from Riyadh and Jeddah, which is about 4-5 hours just by road. So it was really overwhelming to see people come together and really to have a good time. DissDash: Did you have to wear the abaya while performing? Subram: The whole rule with the abaya was very confusing because I remember getting off the plane and thinking that I have to wear the abaya as soon as I head to Saudi Arabia because that’s what I was told but I didn’t have to. In fact, I didn’t even wear the abaya all the way until I reached my hotel and then I had to wear it for sound-check. But during sound-check, when I did wear the abaya, I was told that out of respect for the costume for the abaya I can’t really dance or move too much. Fortunately, we didn’t have to wear it for the performance so there were no such limitations and I could put my best foot forward and give my best performance and not really think about all of that. But yes, I did get to wear the abaya and you know what, actually, it has a cooling effect. It’s funny because it was really hot in Saudi Arabia and I was thinking, oh my God! another layer on top of what I am wearing but interestingly enough it has a cooling effect and I really enjoyed wearing it. 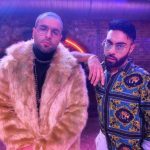 DissDash: How has your overall journey from Bollywood and now to Saudi Arabia been? 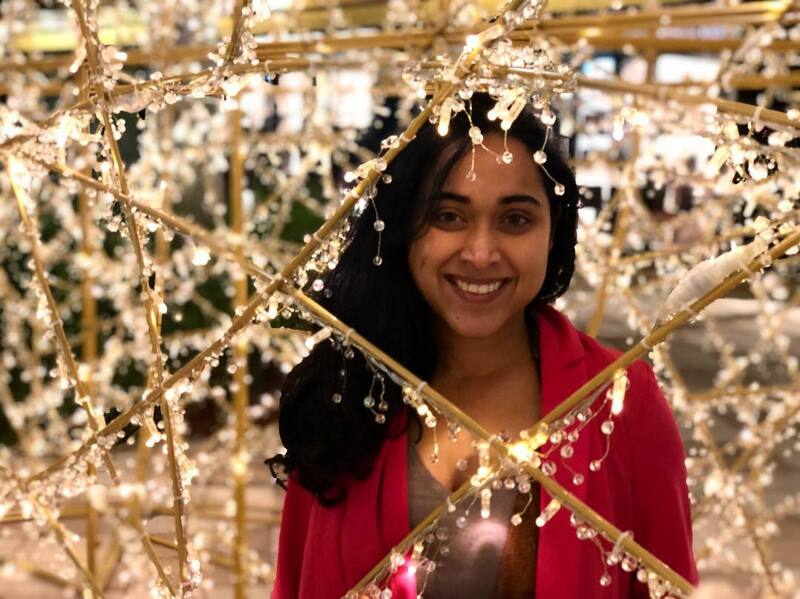 Subram: The journey has been fascinating considering that I’ve really lived outside of India all my life and I just spend a couple of months in Mumbai; I would say that my journey has been very exciting. It’s been a mix of singing for the movies starting off with a playback project for Ayushman Khurrana for the movie “Hawaizaada” and moving into regional films with “Mella Mella” for a Tamil film with Ghibran Sir, who is a fantastic music director and besides that I have done some amazing collaborations online which have been received very well. The one with The Piano Guys, which has surpassed 25 million views and just working with fantastic talents like Sultans of Strings, Shankar Tucker, and Kartik, who is a very well-renowned playback singer in South India. So it has been a fantastic journey and I really enjoyed working on my singles as well which I am doing more of now, the latest being “Rasiya.” I am also doing a Tamil version of “Rasiya” called “Rasika” and besides that working with some amazing directors like Salim Sulaiman for the IIFA Awards. It has been a great journey. Now I just think I must go to Mumbai. I really have a set base there, and I think that’s what I should do next. DissDash: Well, you definitely should! What songs did you sing at the concert in Saudi Arabia? Subram: The songs were of a wide range. From old retro Bollywood like “Aao Na Gale Lagao Na.” And then I did “Mile Ho Tum Humko” by Neha Kakkar and the trending, “Mere Rashke Kamar” by Rahat Fateh Ali Sahab. I also sang some fast numbers like “Aiven Aiven”, and “Bidi Jalayi Le.” It was a nice mix. The audience was really enjoying it because I was trying to cater to all ages as it was our first time and I was not really sure of what or who to expect in the audience. So I was trying to make everyone happy from the young to the old, so I did a nice mix of songs. 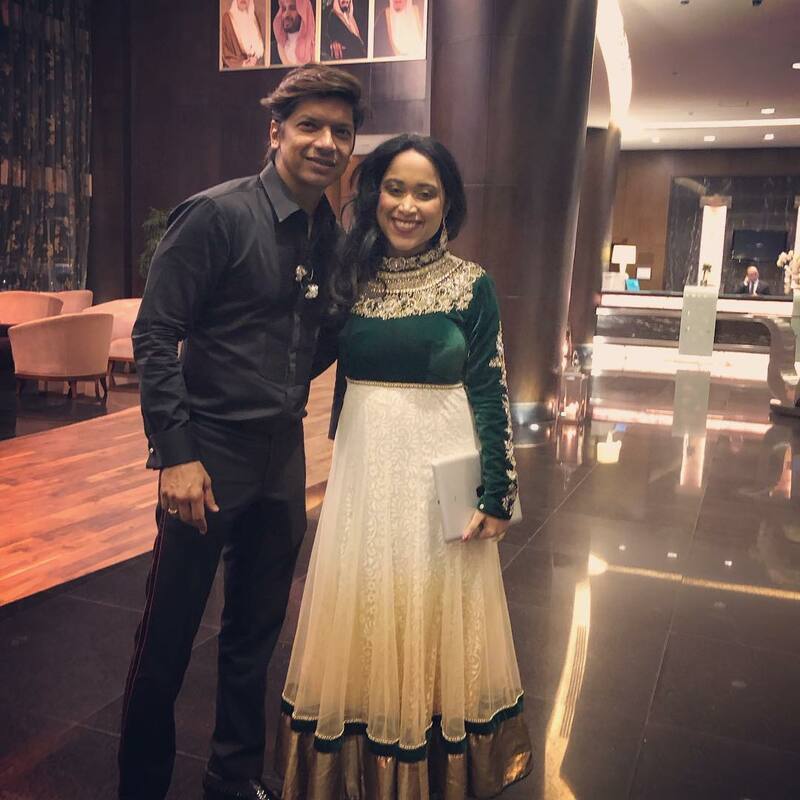 I also sang some Bollywood duets with Shaan, from “Houseful” and “Partner” which have some of his most popular numbers, so it was really nice to perform with him as well. 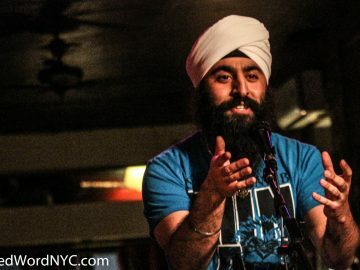 DissDash: How was your experience with Shaan? Subram: Oh! he is such a great guy to work with! I used to always wonder when I saw him on screen, he always has this smile that never fades away and I thought if he is the same in person and he really is. I think that’s where he gets all the energy from. He is so happy, so cool and casual that when you work with him it’s like a breeze. He is very supportive and encouraging. I remember when we were doing sound-check and he heard me singing “Aao Na Gale Lag Jao Na” he came up on the stage and said to me, “listen you are singing an old retro number, how about we do two numbers during the show?” So he put me on the spot actually during sound-check. 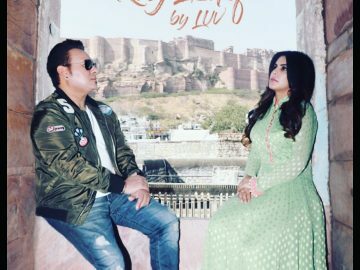 He said that I see you’re singing this nicely and so how about we do some RD Burman songs he added, like “Aaj Kal Tere Mere Pyar Ke Charche” and he added songs on the spot. I was taken aback because we already had enough songs to perform together. He was really appreciative and he said let’s do more on stage, so you know he’s really fantastic to work with.